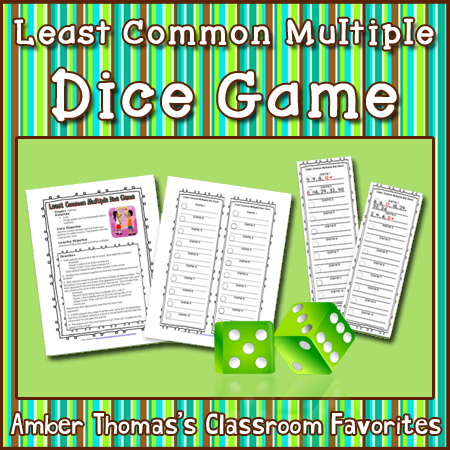 Today on Teachers Pay Teachers I got a comment that said, "Thanks; I'm always looking for more dice games." And it made me think back to years past. At the beginning of every new school year I give my class a survey about themselves and school experiences, and one of the questions asks, "What's something fun you did in third grade." Well, for the first couple years, a lot of kids wrote, "We played games in math." And right away I said, "Ah, you like math games, eh? Well, I don't really have many, but I'll see if I can make at least a couple this year." And I did. 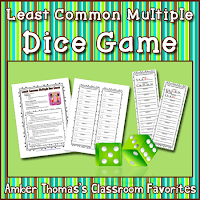 At first, they were simple ones, like "roll the dice and multiply the numbers you get" instead of a worksheet. But even those were appreciated! Then I started altering the dice if I wanted zeroes, or numbers larger than 6. The games in my arsenal increased as time went on. And finally, thanks to TPT, I've had the motivation to get my games are typed up, printed in color, and laminated. 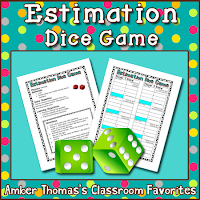 We use dice for estimating. 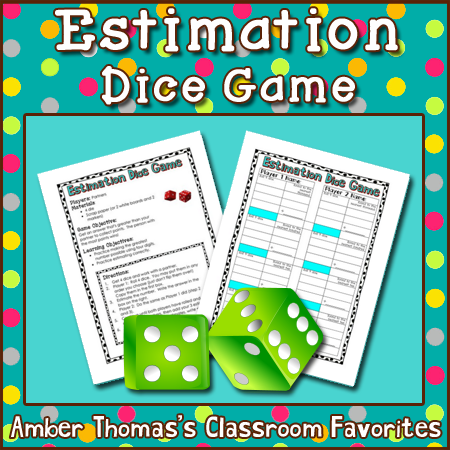 Lots of dice for numbers with high place value, directions, and a recording sheet for accountability. We use dice to practice finding the least common multiple of two numbers. And just to change it up, instead of dice we use a board game to practice prime and composite numbers! Because sometimes flipping cards gives you the engineered numbers/odds that you need to make a game more playable. I think the kids liked the games just as much when they were hand written as they do now that they're of publishable quality. 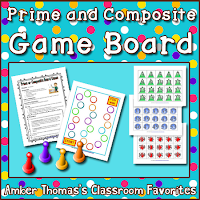 But for me it's exciting that not only am I giving the (young) people what they want, I'm able to get my math games into other classes, thanks to TPT. And I might not have had as much success with my math games if my former students hadn't requested them, or if their third grade teacher hadn't introduced them to the idea that math can be a game. So thanks Mrs. D. Enjoy retirement; I'll keep making math fun!